I always keep a jar of raw cashews soaking in water in the fridge. Just in case I’m craving ANYTHING creamy, there it always is! But lately I’ve been craving bright flavors and have been using tons of lemon in everything. It might be because my brother has a huge lemon tree at his house and I have been receiving pounds of juicy homegrown organic lemons on a weekly basis. No complaints here. But last night I realized that my poor cashews have been sitting so lonely in the fridge for over a week! Yikes! I couldn’t let them go to waste so voila, Creamy Lemon Dressing! Just super duper on any salad, simply delightful tossed with pasta, but truly PERFECT drizzled over avocado toast. 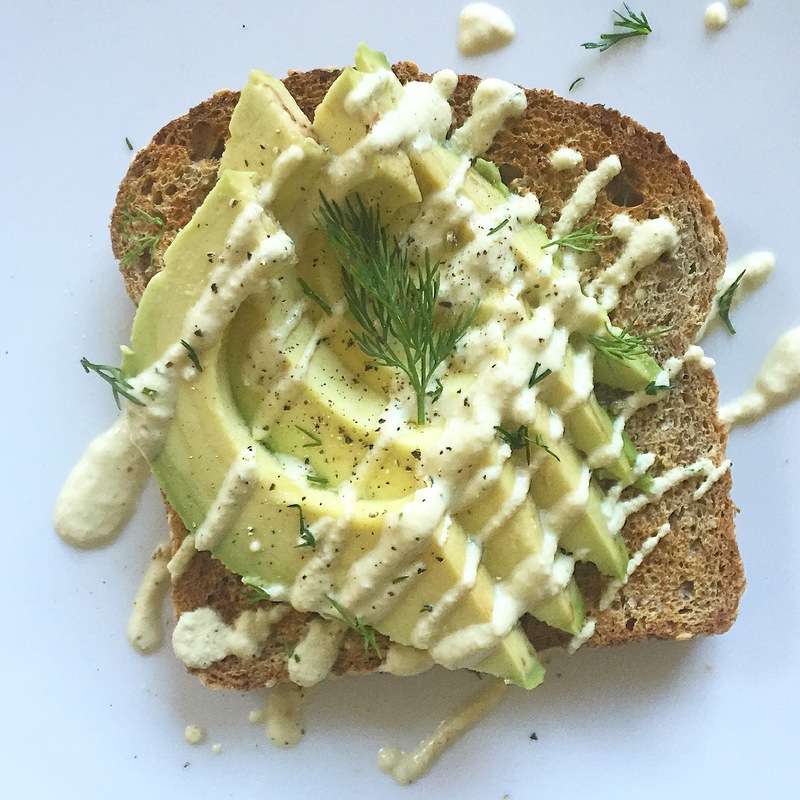 I’m actually going to claim it right here in writing that it is THE MOST PERFECT AVOCADO TOAST SAUCE…. EVER! Let’s get blending. Your food processor is gonna have to break a sweat for this one. If you have a high speed blender, lucky you & this will only take about 60 seconds to make. 1. Soak cashews for 6 hours to overnight. Drain and rinse then add them to food processor. 3. Add lemon juice and water and let the food processor run for another 5 minutes. 4. Add seasonings and let the food processor run again for another 3 – 5 minutes. 5. 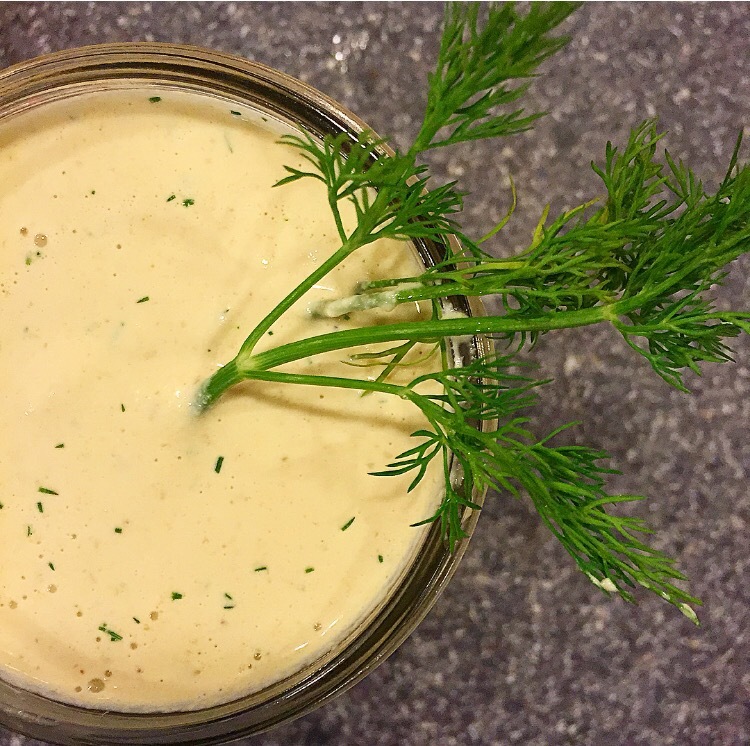 Finally when it’s almost a very smooth dressing add dill for a nice herby touch and let the food processor run until it’s completely smooth. This dressing is oil free, dairy free, and cruelty free so feel free to drizzle it over anything you want completely guilt free! Enjoy it Veganly Much!